Have you ever experienced aching pain in the back or buttock area that radiates down your leg? If so, you may have sciatica. Sciatica is a common condition that affects up to 1 out of 10 people, typically between ages 25-45. Sciatica is typically felt as a dull aching pain to the low back and buttock area, that can at times be sharp, depending upon movement. It is generally on one side, but at times can be on both sides. Other symptoms can include numbness and tingling, radiating down to certain areas of the leg. Improve your posture– One of the long-term causes of sciatica is poor posture. Make sure that you have a lumbar support in your work chair and in your car that you can take with you to different places. Look at the way your computer and desk area is setup. Avoid soft couches and recliners. Physical therapists are experts in ergonomics and can teach you the proper posture setup for workstations and home activities. Change your position frequently– Sitting puts direct pressure on the sciatic nerve. Therefore, it is important to change positions frequently. Consider getting an adjustable standing desk if you have to spend most of your day sitting at a computer. If you are suffering from sciatica, try lying down for 10 minutes, standing for 10 minutes and sitting for 10 minutes. Rotate this throughout the day as much as you can. Try magnesium– magnesium is thought to sooth irritated nerves and many of us have magnesium deficiencies. Try a good magnesium and calcium supplement to soothe pain. However, if you are on medications, consult your physician first. Improve your hip strength and flexibility– The gluteal muscles support the normal walking motions we perform every day. They become weak and tight with prolonged sitting, especially at a desk job. This causes severe strain on the smaller hip muscles around the sciatic nerve, when walking or standing. Get your body mechanics checked– Most of us do not realize that we have made an adaptation in our normal movements, because of limited joint motion or muscle weakness. Our body is amazing at adapting to problems, however, it can only do this for so long, until abnormal strain and stress occurs. Having a thorough biomechanical movement analysis by one of our trained physical therapists, will pinpoint the exact problem that is causing your sciatica. This allows us to formulate a treatment plan that will help you naturally restore your movement, function and quickly relieve your pain. Do you want to return to life? 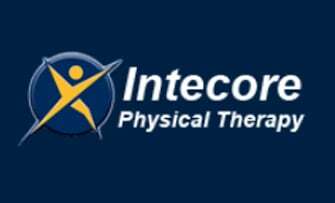 Click HERE to schedule your FREE Discovery Visit to see how Intecore Physical Therapy can help!